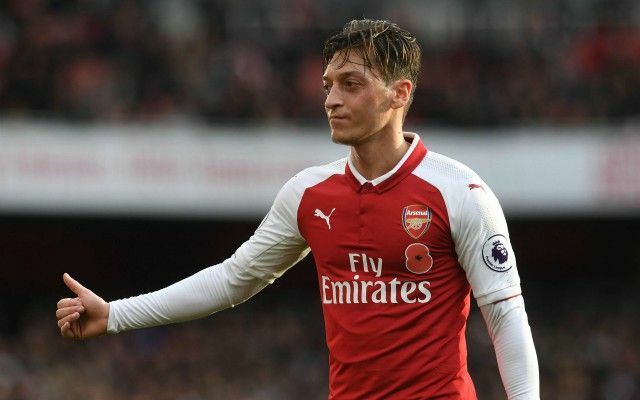 Arsenal legend Martin Keown has explained the two reasons he believes Jose Mourinho would ‘love’ to seal the Mesut Ozil transfer for Manchester United. The former Gunners defender responded to questions about the Ozil transfer situation in his Tackle Keown column with the Daily Mail, and said Mourinho’s long-standing rivalry with Arsene Wenger was one big reason. The other, he says, is due to Ozil’s quality, with the Germany international showing himself to be one of Europe’s finest playmakers for much of his career. Ozil worked under Mourinho at Real Madrid before moving to Arsenal in 2013, and while he has been plagued by inconsistency in his time at the Emirates Stadium, we have also been treated to flashes of his brilliance. Could Ozil and Mourinho work together again at Manchester United? It’s easy to see how the 29-year-old could do a job for this United side, who looked sorely lacking of creativity in their recent defeat to Manchester City, when they failed to get a hold of the ball and create much to trouble their opponents. ‘I think Jose Mourinho would love for that move to happen, for two reasons,’ Keown said. Mourinho and Wenger never seem to have got on for as long as the Portuguese has been in English football, with the two first coming to blows when the former took charge of Chelsea in 2004/05. The pair have exchanged a long war of words and often even come to blows on the touchline during games. It’s easy to imagine it would be personally satisfying for Mourinho to then end up poaching such an influential player from Wenger, which he also notably did back in 2006 when signing Ashley Cole for Chelsea. Mourinho does not strike one as a person who lets go of grudges easily, so that might explain this obsession with what is otherwise an arguably surprising move considering Ozil’s relative lack of impact at Arsenal, especially this season.